Embrace your Xmas Spirit with our amazing new Christmas Jumper which comes with fillable baubles to store your favourite Christmas tipple. So if your a gin guzzler, whiskey sipper or a tequila slammer, this jumper not only offers you a chance to look ultra festive but also turns into your personal wearable bar. ✓ Comes with 3 Fillable Baubles. ✓ Features 2 front pockets in the train carriages to store any additional items. ✓ 5 red ribbons attached to the jumper to hold baubles and decorations. Just fill the baubles with whatever takes your fancy and attach the baubles to the tree. When your ready for a drink, just simple unscrew the bauble and pour away. 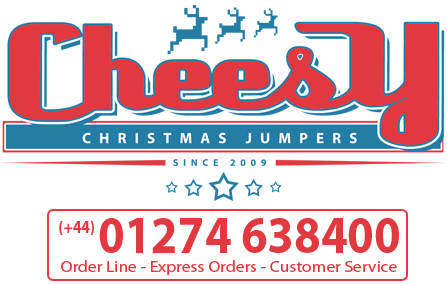 The jumpers comes with 3 fillable baubles and has 5 red ribbons attached to the jumper. The extra 2 ribbons can be used to hang further Xmas decorations to make your tree look super festive. ROW Tracked and Signed. Latest prices on checkout page.